It’s a new year, which means resolutions (already broken since it’s the sixth) and turning over a new leaf. Also, January means cold weather, which really means there will not be much grilling going on. However, it’s all about the preparation for the upcoming grilling season. Remember last year? That time you spilled your beer? It spilled onto the grill and you discovered a wonderful new marinade? Yeah, it doesn’t happen like that. More often than not, the coals get doused and the barbecue is ruined. So sad. Unless you have a grilling companion to watch over your beer. 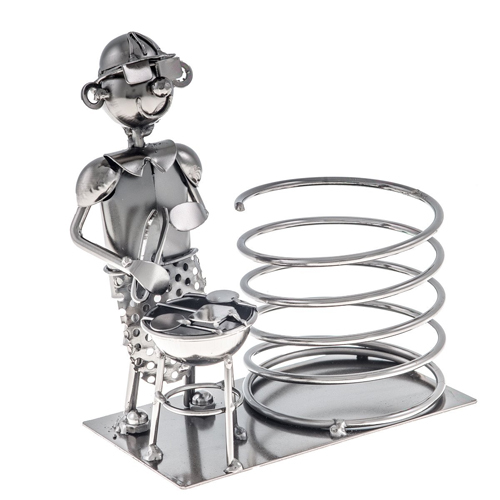 The Fabulous Chef Metal Grilling Beer Bottle Holder is sold out right now, but someday it will be ready to man the grill again. More importantly, this little guy will keep your beverage safely ensconced and out of harm’s way — or you can use it hold that fabulous marinade you discovered last year. How to ruin a Star Wars joke: Oh, there’s my R2-D2 Can Cooler. I was looking for that. 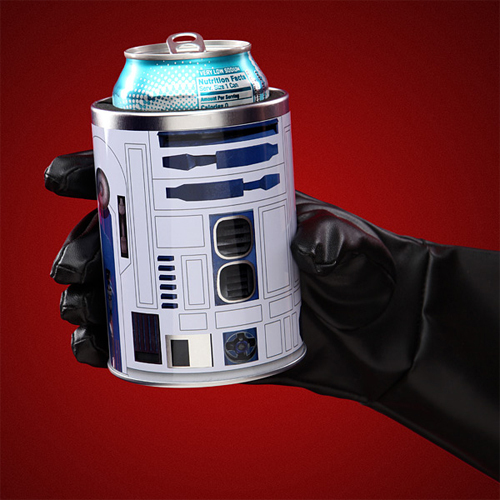 But no worries, Star Wars and beer fans, this is the can coozie you were looking for. Or is it a koozie? No matter, the beer droid you were looking for is here. Of course, it goes much better with lunch from the Thermos Novelty Lunch Kit, Star Wars R2D2 with Lights and Sound that you made with the Exclusive Star Wars R2-D2 Measuring Cup Set – Limited Edition . And that’s no joke. Now you can drink your beer and eat it too. In candy form. Jelly bean candy to be specific. Jelly Belly, makers of — sometimes tasty, sometimes gross — flavored jelly beans has unveiled their take on the classic beverage. 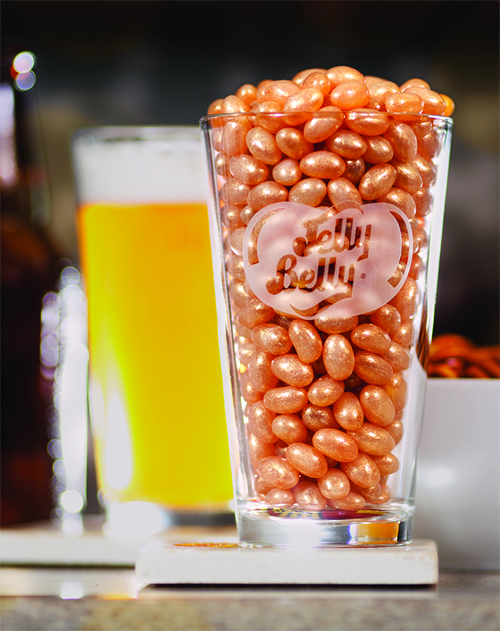 Draft Beer Jelly Bellys are new for 2014 and are sure to be a hit. Already out of stock, a new batch is brewing. The company says they will be available on February 10th. Till then, I guess the real stuff will have to do. Drinking beer isn’t the most active of endeavors. This of course, is fine; relaxing with a beer after a long day’s work is a tradition that isn’t going anywhere any time soon. But, that doesn’t mean it has to be relaxin’. In fact, some might prefer sippin’ and rippin’ at the same time. Yes, sippin’ and rippin’, two activities that seemingly don’t belong together. 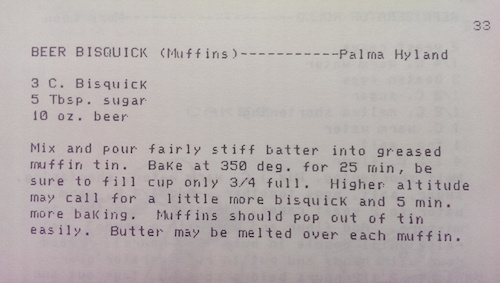 Oh, how wrong we all were. 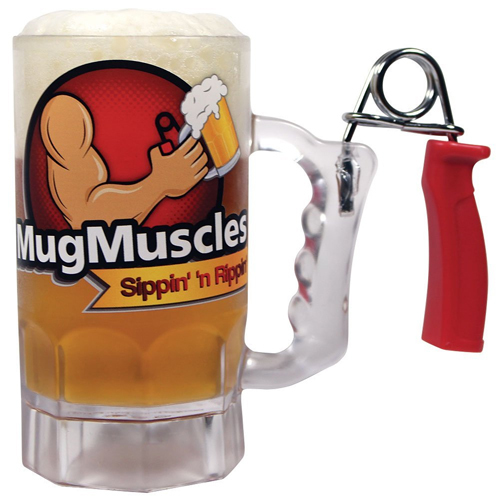 The Mug Muscles Beer Mug with Hand Grip Exerciser Handle brings together beer drinking and exercise — all without leaving the couch. Now if they could just perfect that La-Z-Boy recliner with built-in treadmill. Bring the beer can chicken inside. Except forget the beer can. 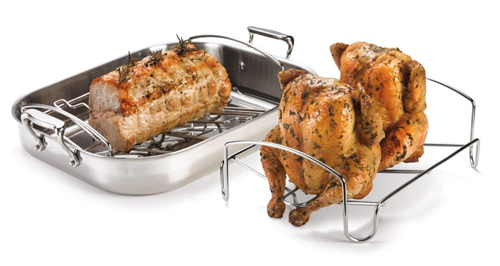 Well, forget to put the beer can inside the chicken that is, because this roasting rack is ready to stand up to the task without any help.